Is this person the right candidate for the job? What careers would suit this person? Does this child or adult have a specific educational need? What customers will buy this product? How will a customer buy this product? Does this person have a personality disorder, such as Antisocial Personality Disorder? Does this person have the right aptitude and skills for this job? Does this person have a clinical condition? Does this person have the skills and personality required for a promotion? 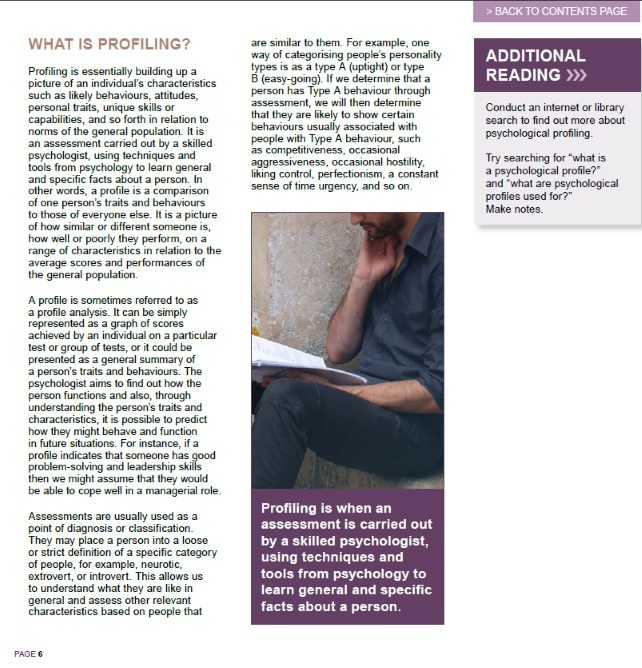 Psychological profiling can help us to learn more about people and find out whether they are the right candidate for the job, whether they have educational needs, whether they show criminal tendencies and how we can market our goods and services to a particular group of people. Psychological testing in recruitment – how good is it? Lesson 6: What Comes Next? We are talking about forensic profiling, where psychologists and behavioural scientists will use science and experience to try to develop a profile of a criminal. They will use information gained through research and study. Research has found that the following factors can influence who commits a crime. In the Western world, nearly 90% of murders are committed by males. Males are also the victims in nearly 75% of murders. Age also affects murder rates, there is an increase in murders between the ages of 17 and 30. People are less likely to commit murder as they age, but murders committed by children and adolescents are also rare. However, if we look at research across different countries and cultures, the patterns do not always appear similar. For example, in Korea, according to the Asian Correspondent newspaper, 37.4% of murderers are men, which is obviously less than in America. But all of the criminals had committed their crimes in their 30s. 9.4% of murders were committed by a husband, wife, common-law husband or wife, father, mother, son, daughter, brother, sister in law, step-father, step-mother, step-son or step-daughter. 1.8% were other family members. 14% were acquaintances. This is a broad category can include taxi drivers to prostitutes and their customers. 39% was a unknown relationship. For example, they were involved in a gang fight but there was no apparent direct relationship between the victim and murderer. But even looking at these statistics, it is not quite so clear cut. With family murders, the murderers tended to also have a criminal record for other crimes, so it is not just a simple someone in the family murdered the person. There is often a misconception that people who commit murder are mentally ill in some way. However, this is not always the case. The Asian Correspondent reported that 81.3% of Korean murderers had no particular mental illness. 3.9% suffered depression, 0.7% had a mental illness. Time to Change in the UK reports that the majority of murders are committed by people who do not have mental health problems. They estimate that there are 50 – 70 murders per year that involve a person with a mental health problem at the time of the murder. It also depends on the type of mental illness you are discussing. We will talk more on psychopathy and antisocial personality disorder shortly, but some mental health conditions do make a person more prone to violence. We will use some of these terms during the course, so it is useful to understand the terms used. For a human resources manager, supervisor or employer, it may help them to a better understanding of how to select and manage their staff. 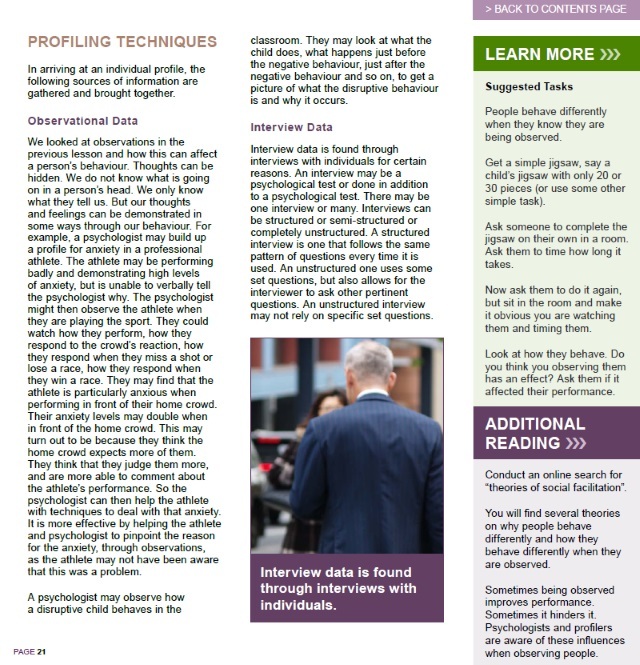 For anyone involved with law enforcement it may help to understand and predict the behaviour of criminals. 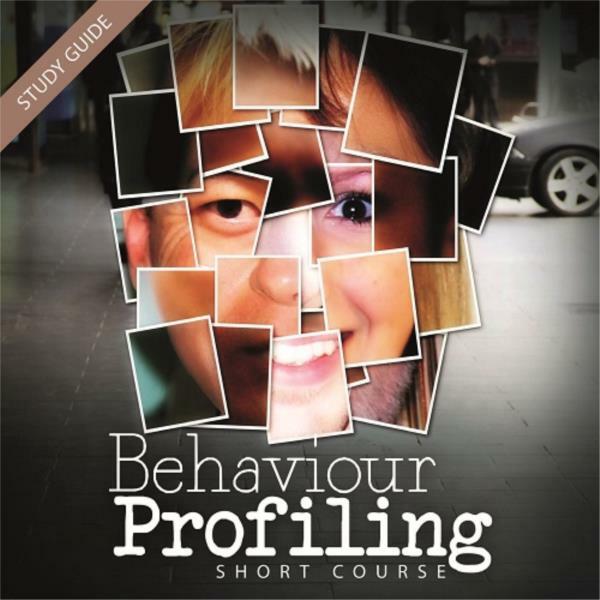 Counsellors, welfare workers, teachers, marketing professionals and many others can also find applications for behavioural profiling.